Martita Edith Hunt (30 January 1900 – 13 June 1969) was an Argentine-born British theatre and film actress. She had a dominant stage presence and played a wide range of powerful characters. She is best remembered for her performance as Miss Havisham in David Lean's Great Expectations. Hunt was born in Buenos Aires on 30 January 1900 to English parents Alfred and Marta (née Burnett) Hunt. She spent the first 20 years of her life in Argentina before she returned with her parents to the United Kingdom to attend Queenwood Ladies' College in Eastbourne and then to train as an actress. Hunt began her acting career in repertory theatre at Liverpool before moving to London. She first appeared there in the Stage Society's production of Ernst Toller's The Machine Wreckers at the Kingsway Theatre in May 1923. From 1923 to 1929, she appeared as the Principessa della Cercola in W. Somerset Maugham's Our Betters (Globe, 1924) and as Mrs. Linde in Ibsen's A Doll's House (Playhouse, 1925) in the West End, along with engagements at club theatres such as the Q Theatre and the Arts Theatre and a short 1926 Chekhov season at the small Barnes Theatre under Theodore Komisarjevsky (playing Charlotta Ivanovna, in The Cherry Orchard and Olga in Three Sisters). In September 1929, she joined the Old Vic company, then led by Harcourt Williams, and, during the following eight months played Béline in Molière's The Imaginary Invalid, Queen Elizabeth in George Bernard Shaw's The Dark Lady of the Sonnets, and Lavinia in Shaw's Androcles and the Lion. However, her time there was more noted for a succession of Shakespearean roles: the Nurse in Romeo and Juliet, Portia in The Merchant of Venice, the Queen in Richard II, Helena in A Midsummer Night's Dream, Portia in Julius Caesar), including roles with John Gielgud (Rosalind in As You Like It, Lady Macbeth in Macbeth, and Gertrude in Hamlet). "With an arresting appearance and a dominant stage presence, she proved most effective as strong, tragic characters, her Gertrude in Hamlet being accounted by some critics the finest they had seen." She then returned to the West End (briefly returning to the Old Vic to play Emilia in the 1938 Othello), notably playing Edith Gunter in Dodie Smith's Autumn Crocus (Lyric, 1931), the Countess of Rousillon in All's Well That Ends Well (Arts, 1932), Lady Strawholme in Ivor Novello's Fresh Fields (Criterion, 1933), Liz Frobisher in John Van Druten's The Distaff Side (Apollo, 1933), Barbara Dawe in Clemence Dane's Moonlight Is Silver (Queen's, 1934), Theodora in Elmer Rice's Not for Children (Fortune, 1935), Masha in Chekhov's The Seagull (New Theatre, 1936), the Mother in an English-language version of García Lorca's Bodas de sangre ("Marriage of Blood"; Savoy, 1939), Léonie in Jean Cocteau's Les Parents Terribles (Gate, 1940), Mrs Cheveley in Oscar Wilde's An Ideal Husband (Westminster, 1943), and Cornelia in John Webster's The White Devil (Duchess, 1947). Hunt also appeared in many supporting roles in several popular British films such as Good Morning, Boys (1937), Trouble Brewing (1939), and The Man in Grey (1943). The Wicked Lady (1945) was an international success, but her next film role in David Lean's Great Expectations (1946) would be her most famous and most lauded. As Miss Havisham, she reprised her role from the 1939 stage adaptation by Alec Guinness which provided the inspiration and template for Lean's film. Her performance met with significant acclaim, and Roger Ebert later wrote in 1999 that she "dominate[d] the [film's] early scenes, playing Miss Havisham as a beak-nosed, shabby figure, bedecked in crumbling lace and linen, not undernourished despite her long exile." From this time on, she divided her time between British and American films as well as the stage. She won a Tony Award in 1949 for her Broadway début as Countess Aurelia in the English-speaking première of Giraudoux's The Madwoman of Chaillot (though she had relatively less impact on the production's 1952 tour). 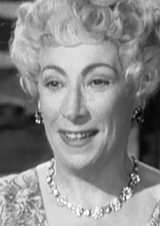 Her last stage role was as Angélique Boniface in Hotel Paradiso, an adaptation from Feydeau, again with Guinness at the Winter Garden Theatre in May 1956. Martita Hunt died of bronchial asthma at her home in Hampstead, London, aged 69, on 13 June 1969. Her estate was valued at £5,390. She never married. She was an aunt of actor Gareth Hunt. She was cremated at Golders Green Crematorium on 19 June and her ashes lie in the Ivor Novello Rose Bed. ^ Roy, Donald (2004). "Hunt, Martita (1900–1969)". Oxford Dictionary of National Biography. ^ Review of Great Expectations, Chicago Sun-Times. Retrieved 10 December 2014. ^ "Gareth Hunt – Obituary". The Times. London, UK. 15 March 2007.